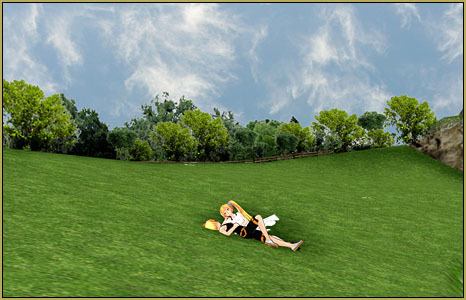 Where can I download the MMD Batokin Island stage set? 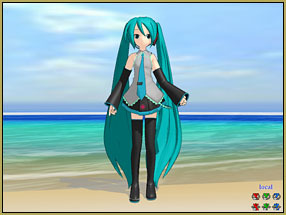 How do I use Batokin Island in MikuMikuDance? How do I move my models to a new part of MMD Batokin Island? MMD Batokin Island stage is MORE than a beach scene! 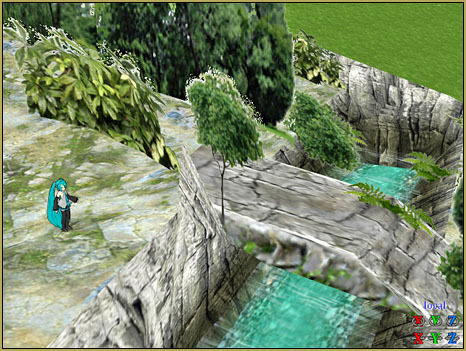 It’s the stage for a full adventure video game … a beautiful place just waiting for your imagination to give it life! When you first arrive on Batokin Island, you seem to have a dance-floor on the beach! Swing the camera around and take a look at your new real estate … it’s a totally awesome place! Add the skydome and remove the coordinate axis display to get your shoes full of sand. 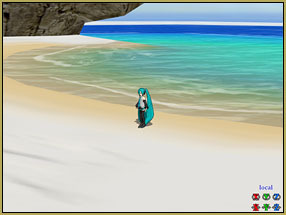 MMD Batokin Island is a huge place … plenty of room for Miku and all of her friends! Too bad the waves don’t “wash up onto the beach” … but, still … it looks great! MMD Batokin Island … MORE than a Beach! MANY MMDers already own their own MMD Batokin Island … but few ever venture away from the beach. Batokin Island being so large, you’d think it’d be hard to get around … but it’s EASY if you move the island to Miku … rather than trying to move Miku to the island. I do it by attaching the island to a dummy bone … just as you would any other accessory. 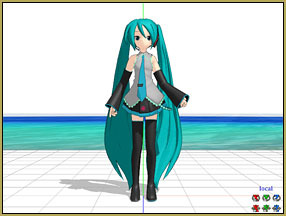 Then load a model (Miku) and go to the Dummy Bone … select the island’s dummy bone and slide the island around beneath Miku’s feet until you arrive at your destination. I find that, sometimes, the trees and shrubs don’t work well against the skydome … so I remove the skydome and add a scenic photo from my collection to be the background image … like my “lovers on the grass” image at the top of this story … that’s a cloud background image rather than the skydome. There’s MORE to the island as well … your download includes additional trees and shrubs and a piece of fence that you can place into your scene … and you can use the skydome and the other bits and pieces with OTHER stages in your collection … just treat them as you would any other accessory. Have fun with MMD Batokin Island!